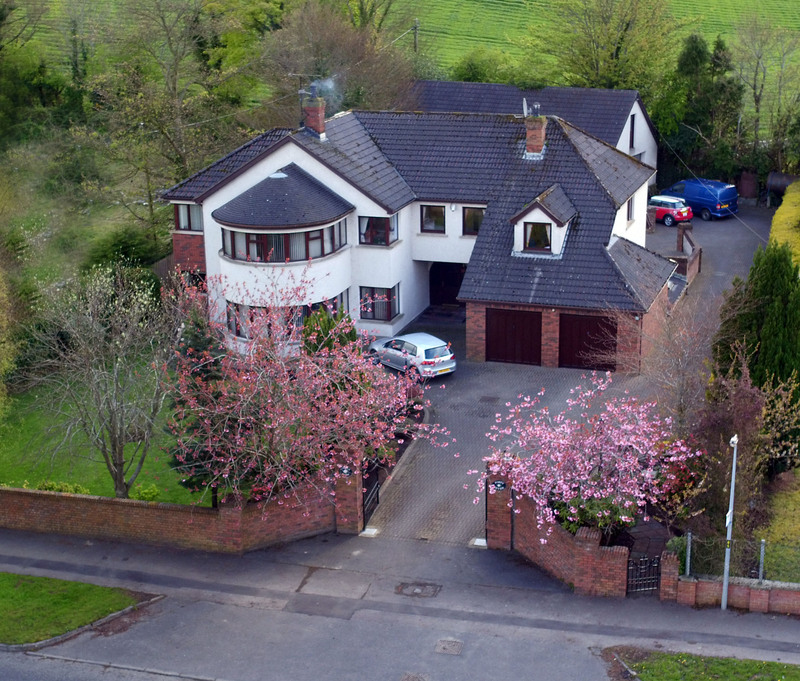 Large Detached residence extending to approx. 4500 sq ft. With self contained apartment situated on prominent road front site on the edge of town, but within easy walking distance of local shops and all schools. Accommodation includes Three Reception Rooms including Sitting Room, Living Room & Dining Room. Five excellent bedrooms, Master Bedroom with Ensuite Shower Room & Dressing Room. Family Bathroom to first floor and wash room to ground floor. Spacious Kitchen / Dining area with additional living space. 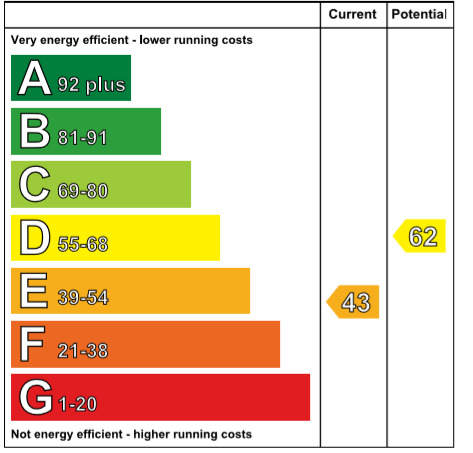 Key Features Include; Oil fired central heating system, double glazed windows in uPVC frames, monitored security alarm system. Beam vacuum system,Fitness suite, entertainment room & Spa to basement. 2 +8 extension phone system and Cat 5 internet cabling installed to most of the house. One Bedroom self contained apartment to ground floor. Outbuildings include attached Double Garage and large Detached Workshop / Store. Please contact me about 47 Ballyquin Road. 8’4 x 8’4 Hardwood front door with centre light and side screens. Ornate ceiling cornicing. Glass panelled vestibule door with side screen. Ornate ceiling cornicing. Feature mahogany, open tread staircase. Patio doors leading out into rear paved garden. Second staircase leading down into basement. 20’2 x 14’6 Feature Italian marble fireplace and surround with granite inset and open fire piped for gas effect fire. Ornate ceiling cornicing. / Snug 16’0 x 12’0 Feature marble fireplace with granite inset and open fire with back boiler. Ornate ceiling cornicing. Corner window. 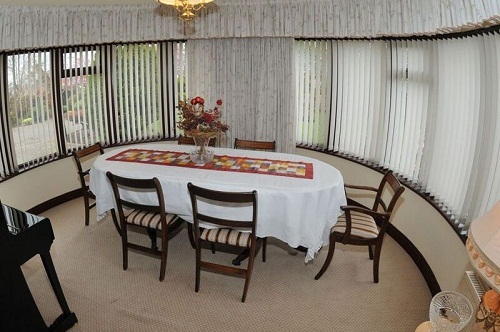 14’0 x 12’0 Semi-circular Dining Room overlooking mature landscaped front garden. Double doors leading into kitchen area. 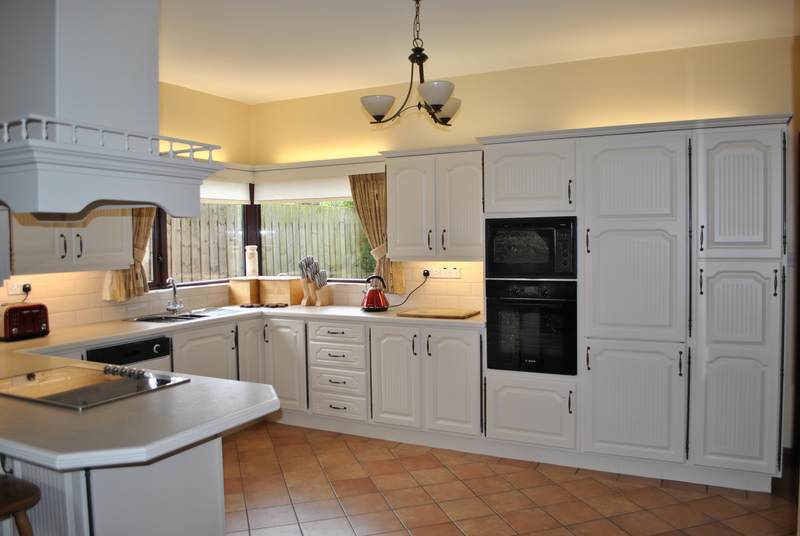 With Living Space: 22’8 x 19’0 Excellent range of Orlee units with matching worktops. Stainless steel one and a quarter bowl sink unit and drainer with mixer taps. Part tiled walls. Tiled floor to kitchen area. Amtico flooring to Dining area / Living space. Corner window with pelmet. Large welsh dresser unit. Bench seating to corner window in dining area. Bosch eyelevel oven. Bosch microwave oven. Zanussi dishwasher and SMEG five ring hob with canopy housing concealed extractor fan. 7’6 x 7’0 Range of oak units with matching worktops. Stainless steel single drainer sink unit with mixer taps. Part tiled walls. Tiled floor. Plumbed for washing machine. Hardwood side door with centre lights. 17’0 x 6’10 Walk in cloakroom and seperate boiler house. Hardwood rear door with centre lights. Two piece suite comprising Low flush wc and pedestal wash hand basin. Tiled floor. 9’8 x 7’6 Hardwood front door with centre light and side screen. 16’8 x 13’6 Quartz stone fireplace with open fire and hardwood mantle. 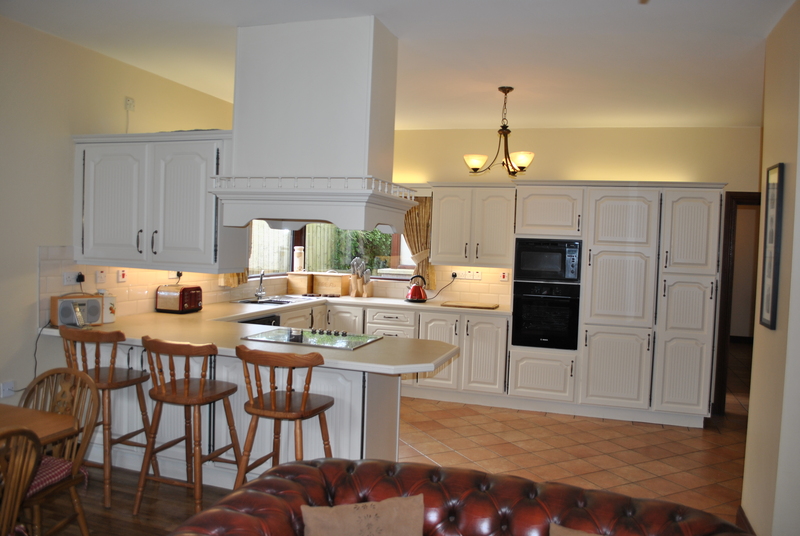 13’4 x 9’8 Excellent range of oak units with matching worktops. Stainless steel single drainer sink unit with mixer taps. Part tiled walls. Tiled floor. Feature corner window. 8’2 x 6’8 Three piece suite comprising walk in shower unit with Redring expressions electric shower. Pedestal wash hand basin and low flush wc. Half tiled walls. Shelved hotpress / Airing cupboard. 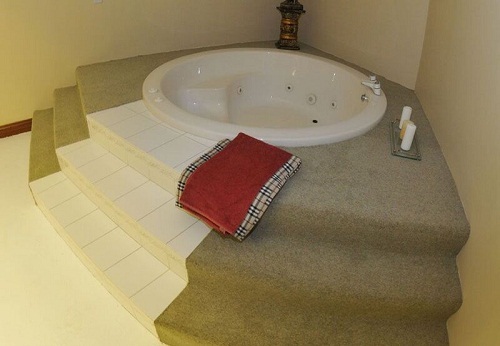 17’0 x 14’6 Raised Hot Tub / Jacuzzi, Walk in steam room / shower area. 11’2 x 7’10 Three piece suite comprising large walk-in shower unit with Redring electric power shower. Vanity unit with wash hand basin and wall mirror. Low flush wc. Good quality tiling to walls and floor. With Living Space: 21’8 x 12’10 Excellent range of built in robes, open shelving, storage lockers, dresser / workstation with drawer sets. 11’4 X 10’6 Six piece suite comprising bath. Low flush wc. Bidet. Vanity unit with twin wash hand basins and wall mirror. Seperate walk-in shower unit with MIRA event Power shower. Part tiled walls. Excellent road front site with mature landscaped gardens laid out in lawns, plants, shrubs and trees enclosed by timber fence, mature hedgerows, wall and electric gates to entrance. Brick pavior driveway with excellent parking space to front, side adn rear of dwelling. Outside water tap and lights including sensor lamps and garden lanterns. Oil tank. Patio area to rear of property. 22’0 x 22’0 Twin doors. Light and power points.